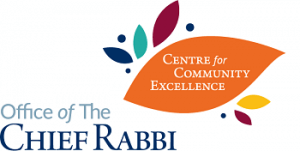 Building on their successful ShabbatUK events of 2016, Giffnock & Newlands Hebrew Congregation decided to invite ‘The Travelling Chassidim’ to perform and engage with their community across a full Shabbat programme. They set the tone for an upbeat weekend with their contribution to the Friday night service, after which they attended a packed communal dinner attended by over 160 people, where members had the chance to learn more about their community. They also performed at the Seuda Shlishit the following day, and after Havdalah for the singing and dancing crowds. “They were excellent: The Travelling Chassidim were particularly entertaining. The whole atmosphere was warm and welcoming, and everyone seemed to enjoy themselves”. “It was such a memorable, fun evening. I am a widow and I felt so comfortable and welcomed by everybody”. “Excellent – it was great to see so many people involved and to see those from other shuls joining in”. “Friday night was very well-attended and there was a wonderful family atmosphere”.